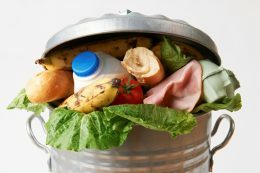 Reducing Food Waste – You Asked It! The Kansas State University Pollution Prevention Institute has formed a partnership with the Kansas Alliance for Wellness to present three upcoming workshops on minimizing food waste and keeping unused food out of local landfills. June 14 – Salina Public Library. June 21 – Iola courthouse. June 28 – Oakley, Buffalo Bill Cultural Center. There is no cost to attend and lunch will be provided. Please register in advance at www.sbeap.org. The workshops follow a train-the-trainer approach, allowing participants to learn more about what they can do to address food issues in their community. Organizers say the training will follow the U.S. Environmental Protection Agency’s hierarchy of food recovery, which includes donating food to food-insecure populations as one of its top solutions. The workshop also will include training on strategic communications, including advocacy, marketing and messaging, which can be used to conduct public campaigns aimed at food system policies. The U.S. Department of Agriculture’s Rural Utilities Service provided funding for these workshops. For more information or questions, contact Barb Goode at barblj@ksu.edu or 785-452-9456.